← Forgetting or moving on? 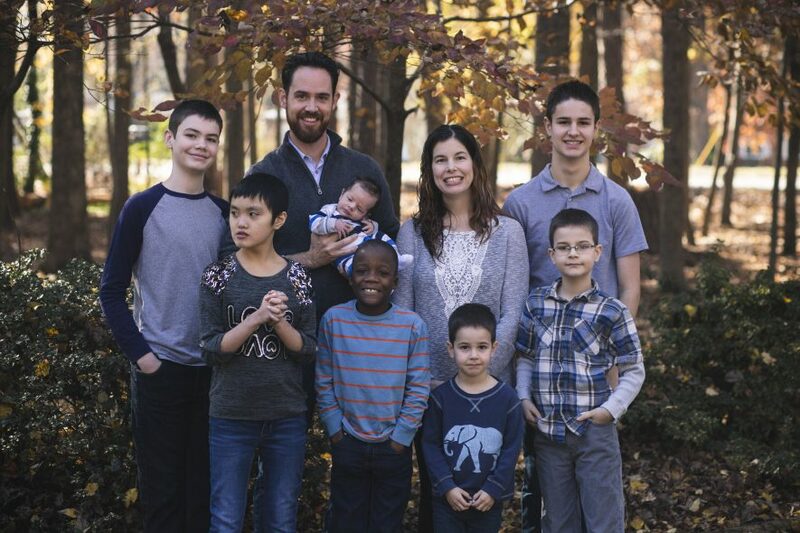 Our family has 6 kids in it. All of them are not the same. Four are white, one is black and one is Asian. Four are typical and two have special needs. Five are boys and one is a girl. One is a teenager, and five are not. Two are in middle school, two in grade school, one in preschool and one a toddler. Differences abound. Our society says we should treat everyone the same. That we should be colorblind and treat those with disabilities the same. That women and men should be treated equally and so on. That’s a great idea, but it just doesn’t always work. Sometimes you need to treat people differently based on their differences in order to do what is best for them. And even in our societies best intentions to treat everyone the same, we are failing to do so all the time. The other day I took my daughter to her school late. She had a doctor’s appointment and it made her late to school. I walked in with her, my preschooler and toddler. The lady at the front desk was trying to be helpful and saw I had my hands full, so she politely said that I could in the future, just send my daughter in with the doctor’s note and she could sign herself in late and walk to her classroom. I realized that she had not met my daughter yet. If you don’t know Kaki you just see a pretty little Asian girl who is 13. You don’t see the truth. This lady was trying to treat her as you would treat any other middle school girl, but my daughter needs something more than that. I quickly tried to explain that my daughter had intellectual disability and has the functional level of a two year old. That she was non verbal and could not write so she could not sign her self in or even find her own classroom. The lady apologized and I felt bad that she was embarrassed, but it couldn’t be helped. I would imagine she knew that there was something not quite normal about my daughter before she said anything, but was trying to not notice. I need those around me to notice. It would have been dangerous for her to expect Kaki to find her own classroom and by trying to treat her as a “normal” child she would have placed her in danger. I want others to notice her disability. Not to act as though it isn’t there, because it is. It is a part of who she is, a large part, and we cannot separate it from her. My son Joshua is five. He started Kindergarten this year and has really struggled with it. Today it all came to a head in an incident on his bus. He rides the bus in the morning and in the afternoon. This morning he didn’t want to go to school. He pitched a fit when I tried to put him on the bus and screamed and kicked and bit me. As I struggled to try to get him on the bus I watched the other children around him laughing. It broke my heart to see other kids laugh but I didn’t get angry with them. I understand why they laughed. It was abnormal to see a child who is almost 6 act in such a way. They all recognized that Joshua isn’t typical. He has ADHD, anxiety, and developmental delay. The kids were pointing out what most adults are afraid to notice, he is different. I don’t want him to be different. Heaven knows I don’t. I have prayed and begged for God to make it not so, but it is. I have to deal with it. I have to keep him safe. I have to hold him kicking and screaming on the side of the road waiting for the bus, for fear if I let go he might hurt himself. Earlier this year his bus driver was absent and a substitute bus driver left him at the corner a block away from our house. We had a special bus stop at our house for him, because of his disability. This bus driver left him at the other stop. Fortunately my daughter’s bus driver saw him and picked him up because she knew him. His substitute driver didn’t notice that he was special. I don’t know why she didn’t, but I would guess it may have something to do with our society that says we shouldn’t notice those things. My kids are different and I need you to treat them differently. You cannot treat them as you would their typical siblings because it might be dangerous for them. I need you to notice they are different. I think our society has made such a big deal out of equality that we are going in the extreme other direction of ignoring those who are different for fear of offending them. I don’t speak for all parents with kids who are special, but for me, I need you to notice that my kids are different. I don’t mind of you ask questions about them, if those questions are meant to gain knowledge of how to better interact with them. They are different, I don’t pretend they are the same as everyone else. And I don’t want the world to either. You communicated a truth that very few could express so well. You sure know how to express your head and heart so well. I imagine, many would like to say the same things you do but just do not know how to do it.